The latest in innovative containment solutions, SULO offers a full range of recycling stations designed for simple source separation within the workplace including large and small businesses, schools, hospitals and other facilities. 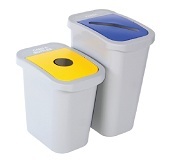 The Waste Watcher and Billi Box recycling stations are the most versatile recycling containers on the market and will take your recycling and waste collection system to the next level. 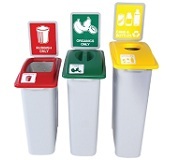 Available in a number of sizes with a variety of lid colour and style combinations, the recycling stations are perfect for office, workplace, school and canteen settings and provide the ultimate solution for desk-side or centralised collection. 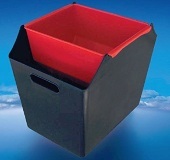 Workplace Recycling Made Simple - 60 | 66 | 72 Litre system from good to great! If you want to know more about our Products or Services, we would love to hear from you.